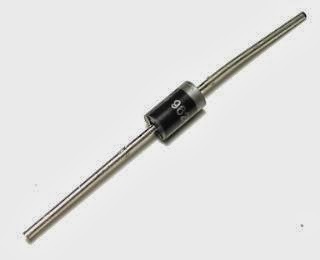 In our previous posts we have seen Resistor and its color coding, Capacitor and finding its value, in this post we will look at Diode and Transistor. 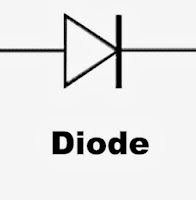 DIODE: Diode is a two terminal device which helps the current to flow in one direction i.e zero resistance(ideally) in that direction, and high resistance(infinite ideally) in other direction. Look at one end which is coated with silver color, it is the -ve terminal of the diode and remaining one is the +ve terminal. Look at the symbol beside in which --l> shows that flow of electrons in that direction during forward bias and |-- shows it halts(stops) the flow of electrons if it is reverse bias. I will not go in depth to explain forward bias and reverse bias with the fermi levels and all that, but just in lay man way. If the positive terminal of the diode(p type) is connected to the +ve side of the battery and -ve terminal(N type) of the diode is connected to the -ve side of the battery then it is called forward bias. 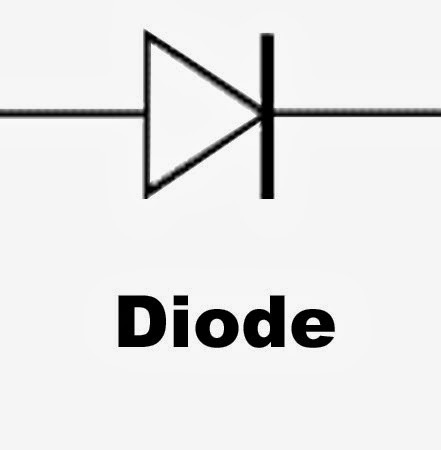 If the positive terminal of the diode(p type) is connected to the -ve side of the battery and -ve terminal(N type) of the diode is connected to the +ve side of the battery then it is called Reverse bias. TRANSISTOR: Transistor is a three terminal device which is most useful component in electronics, which is used to amplify signal or acts like a switch. 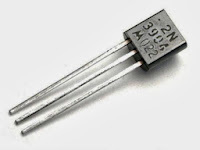 Image shown beside is one type of transistor, you will find many variants depending upon its type. Transistors are of different types, if i start explaining each of them this whole blog will not be enough. So, i will only deal with basic most frequently used type of transistor i.e BJT (Bipolar Junction Transistor) type. NPN transistor will be ON i.e current flows from Collector to Emitter when base is 'high' relative to emitter. 2.PNP TRANSISTOR: Emitter and Collector is of P-type and Base is of N-type. PNP transistor will be ON i.e current flows from Collector to Emitter when base is 'low' relative to emitter. Look at the video below to identify the pins of the transistor and its type. Of the two, analog is that the oldest technology. though digital units have mostly supplanted the analog devices in daily use, there area unit still several analog devices that area unit still used nowadays throughout the planet Multimeter for Automotive.